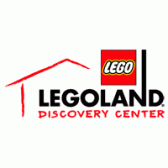 Legoland discovery centres are located in The USA, Canada, UK, Japan and Germany . LEGOLAND Discovery Centers attractions which are designed for families with children aged between 3 and 10 years of age. Each Legoland centre has more than 2 million LEGO bricks under one roof. Centres include 4D cinema, LEGO rides, LEGO model builder workshops, selections of party rooms and LEGO shops. Visits to Legoland centres usually last between 2 and 3 hours,although once inside stay as long as you like! Legoland Windsor resort can also be booked online.